When you rent a vacation rental, you're dealing with a private property owner instead of hospitality professionals. On one hand, this could mean that the customer service standards won't be up to the level you usually enjoy at hotels. On the other hand, vacation rental owners can be warmer and more accommodating. And the prices are often lower than hotels, too. You might be able to score a last-minute deal when you book a hotel room. But with a vacation rental, you should start looking as early as possible. If you only have one week before the trip, you might be better off booking a hotel room instead. Running the vacation rental is usually not the host's main job, so it could take a while for a host to reply to your message and confirm your booking. Allow at least two weeks to sort things out with your host. By far, the most popular vacation rental site is Airbnb. As the pioneer in the peer-to-peer accommodation rental industry, Airbnb has a big pool of relatively active hosts and a high number of listings, so you're more likely to get a confirmed booking through this website. Over the years, other vacation rental websites have appeared. They may be worth a try if you can't find the right accommodation on Airbnb. HomeAway, for example, markets itself as "the UK's number 1 website for holiday cottages, villas and apartments." Other vacation rental websites include VRBO, Wimdu, and One Fine Stay. To save time, you can use a vacation rental search engine called Tripping. Tripping searches multiple vacation rental sites at once, although Airbnb is not included in its database. When you perform a search on a vacation rental website, you usually have to enter the location, the dates of your stay, and the number of guests. Once the website presents you with the results, you can narrow down your choices by price, location, and whether you want a room or an entire property. Vacation rentals can be spare rooms, apartments, houses, or more unusual dwellings like treehouses and boathouses. For longer stays, the website may automatically show you lower weekly or monthly rates. Pay close attention to several parts of the listing. Come up with a list of all the amenities you need. With a hotel stay, you can safely assume that you'll get certain things, such as laundry facilities or a coffee maker. There is no such guarantee with a vacation rental. When you look at a listing, compare it to your list of amenities. Just because the listing doesn't mention something doesn't mean the host won't provide it. Note which amenities are missing from the listing description and remember to ask the host about these items when you send him a message. After a few stays at vacation rentals, I'm now willing to pay more for a vacation rental that has a high number of positive reviews. The guests who leave reviews vouch for the property's safety and quality, so you're less likely to come across unwanted surprises. Read the wording of the reviews closely. The reviews are often on the generous side because the guests may worry about getting bad feedback from the hosts in return. A remark that "the place needs some dusting," for example, could actually mean that it's really dirty. Depending on which vacation rental website you use, each host may have a profile you can check out. The profile displays the reviews the host has gotten from all of his listings. On Airbnb, you can also look at whether the property owner has submitted an ID and social media accounts for verification. Pay attention to the fees displayed in each listing. Every listing has an Airbnb service fee, which is what Airbnb charges for using its reservation system. Before you have a confirmed booking, don't fall in love with any of the listings on vacation rental sites. Sometimes the availability on the website is wrong or the host just never responds to your message, so keep your options open. Send a message to a few hosts whose listings you like. In the message, tell the host a little bit about yourself and your travel companions. State the dates of your stay so the host can check her schedule and confirm whether the property is available. Don't forget to ask her about the amenities you want that are not mentioned in the listing. Once the host has confirmed that the place is available, you can make a booking. Don't wait for a reply from every single host to make a decision; some hosts may never respond to your message. When you make a booking, the vacation rental website charges your credit card and retains the money until 24 hours after you check in. This system allows you to claim a refund from the website if you see a problem at check-in time. 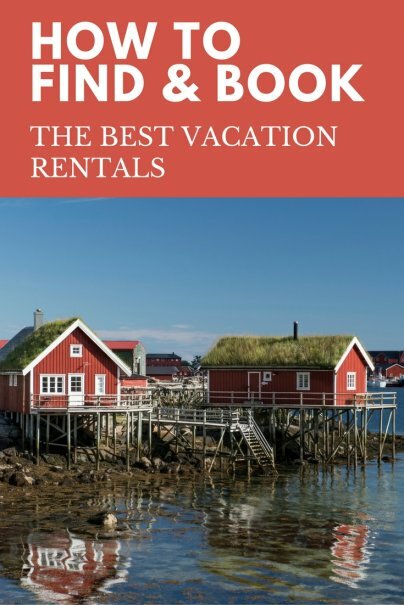 What are your best tips in scoring the best vacation rentals?